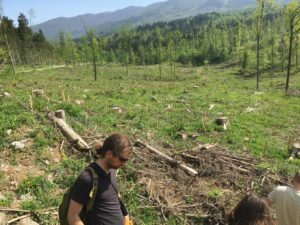 We had a very productive project meeting in Ljubljana and visited several forest sites affected by extreme weather events! We have seen the results of a severe ice break in 2014 which destroyed 9 mio. m3 of wood. 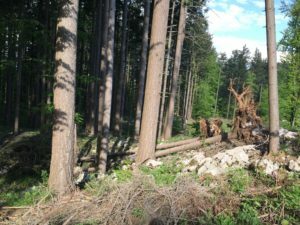 We have also seen damage from a wind throw in 2017 followed by bark beetle outbreaks which resulted in a total damage of 8,6 mio m3 of wood. 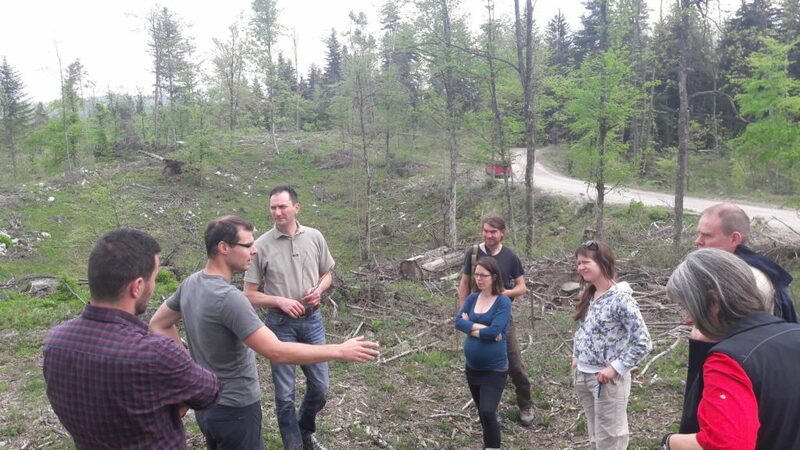 That helps us to understand how vital is the problem of extreme weather events in Slovenian forests and get ideas about possible modelling approaches for the region. These stands were less affected by the ice break in 2014. 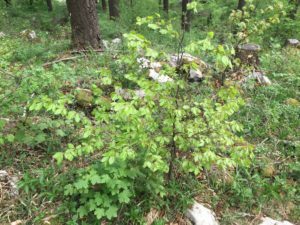 Some regeneration has already been established in the stand. New regeneration in a Douglas fir stand after the ice break in 2014. 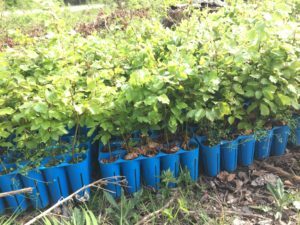 Nice example of natural competition; regeneration of three tree species – sycamore maple, Douglas fir and beech. Most of parent material in Slovenia is lime stone. There are many Karst phenomena. 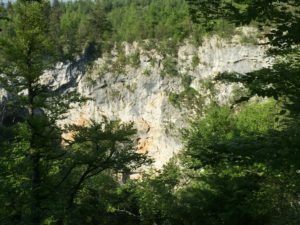 The soil depth in the Karst region is very thin – it is difficult to regenerate big openings. Only few trees in the area survived the ice break in 2014, their crown is severely damaged. 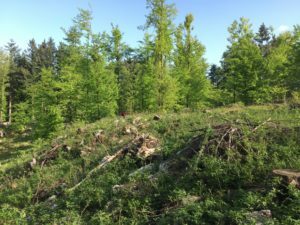 Planted regeneration is struggling to survive because of high browsing intensities, shallow soils and the absence of forest microclimate. It is essential to study possible future risks and losses related to extreme weather events, which are predicted to increase their frequency and intensity. 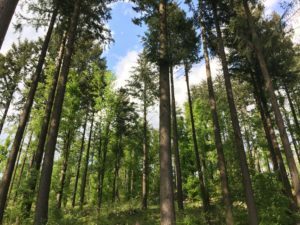 Current focus of the governmental policies is concentrated on the development of the forest management adaptation strategies.